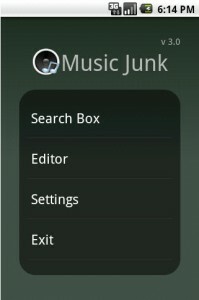 If you are a music junkie like me, then surely you will have a huge music collection of all your favorite songs on your computer. There are hundreds of ways to download mp3 music files from the internet to your computer and most of them will work weather it is on Windows or Mac. In this era smartphones are the trend and people carry it with them everywhere. They also want to carry around all the music with them on the go. Adding new songs to your collection becomes a tedious job in this case as you have to download music to your computer then transfer it over to your phone. There are much better ways to do that especially if you are owning an android phone. There are some applications in the Android market that makes this task much simpler. Here is a list of some of the most useful and popular apps that do that. While downloading files from websites you might have often encountered the “Content not support” error message while trying to download APK, RAR, ZIP, MP3, DOC, XLS or other files. With Download All Files you will be able to download these files to your device. This app works like a browser plugin and enables you to download all file types and allows you to save them easily to your SD card. Additionally you will be able to save all your Gmail attachments also. The working of this app is very simple. 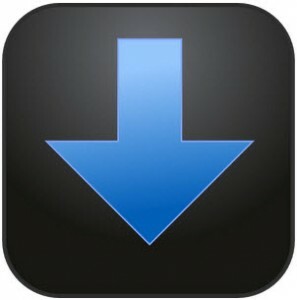 When you land on a download page on your browser you just have to click the download button. This app then grabs the files, adds it to its download queue and once the download finishes you can either open the files of view them in a file browser. You can get this ad supported app for free from the Google Play store through this link. This is another app that lets you download all your music directly to your Android smartphone. This app works differently than the previous one. In this app, you have to search for your favorite songs from the search bar inside the app. Then you have to select the song from the list that appears and press download. This saves the files into your phone’s memory. You also have the option of listening to music online and also to look up the lyrics of your songs online. You can download the app from the Google Play Store from here. With apps like these downloading music to your smartphones does get simpler. There are a lot more options out there that will enable you to download your music directly, but these apps are some of the best and more popular ones out there. Airdroid can download many files from your computer quickly.